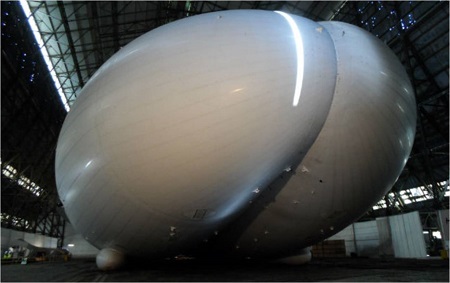 Furthering its campaign to raise the required funds to bring its Airlander 10 airship to flight, Hybrid Air Vehicles has received a €2.5 million ($2.7 million) EU grant that is awarded to environmentally-friendly transport projects. HAV received the funding through the EU’s Smart, Green and Integrated Transport Societal Challenge that aims to bolster European transport, specifically that which is resource-efficient, climate friendly and safe, the company says. The funding will facilitate the development of a regulatory framework for EASA certification of hybrid airships so that it will be certified to a civil standard and away from the military specification that it was built to. The surveillance and cargo Airlander is derived from a US Army requirement for a surveillance airship that was subsequently cancelled after its first test flight in the USA. The Long Endurance Multi-intelligence Vehicle program was cancelled in 2013. Northrop Grumman had been the prime contractor, but HAV had been developing the aircraft, which it subsequently bought back from the army in October 2013 for $301,000. It is now working to take it towards a first UK flight, while developing it to both a military and civil specification for different requirements, hence the work to take it to an EASA-certifiable standard. 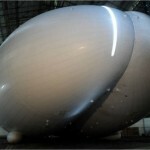 “The Airlander Civil Exploitation Project will undertake this work, resulting in a fully specified civil variant, an engaged regulator, approved regulations and significant risk reduction for commercial customers, thereby allowing orders to be made,” HAV says. Other funding has included a share of some £297 million ($440 million) that the UK government’s Regional Growth Fund awarded to 63 projects in February. This was the second large government grant received by HAV and followed an Innovate UK grant award in 2014 that funded engine and wind tunnel work. HAV has also launched a crowd-sourcing effort through Crowdcube to raise £2 million, £330,000 of which has been raised to date. The effort is due to close in mid-May. This entry was posted in Airships, Hybrid Airships and tagged airship, Hybrid Air Vehicles Ltd., hybrid airship, Northrop Grumman. Bookmark the permalink.